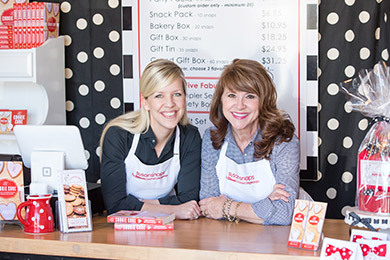 where we specialize in baking the most heavenly gingersnap cookies in a variety of delicious flavors. 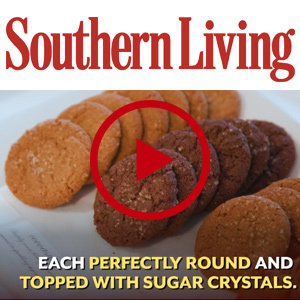 Our gingersnaps are baked fresh daily with the perfect blend of spices, dark molasses, and topped with sparkling, sugar crystals giving just the right snap. Susansnaps have become famous both locally and nationwide. 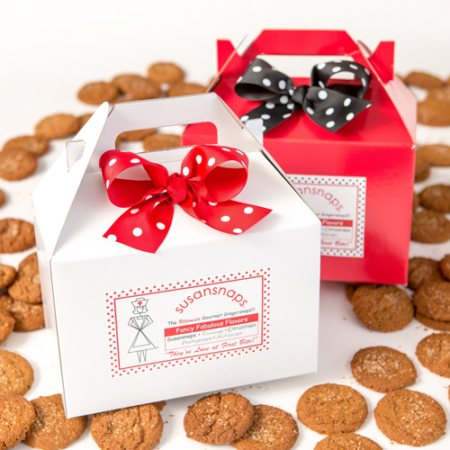 Our charming shop and bakery is in Atlanta, GA, and our cookies are available for shipping around the country. Whether a treat for yourself or a perfect gift, we’ve got you covered! 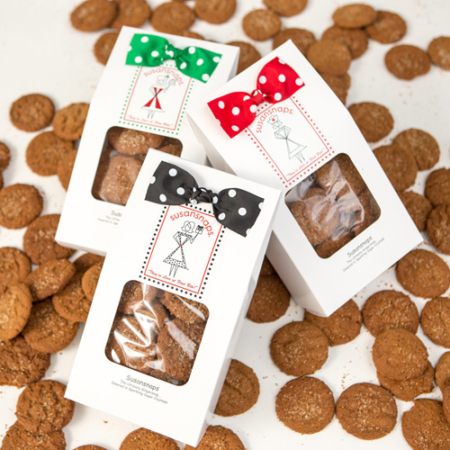 A company based solely on gingersnaps may seem a bit crazy, but so is the story how we got started. 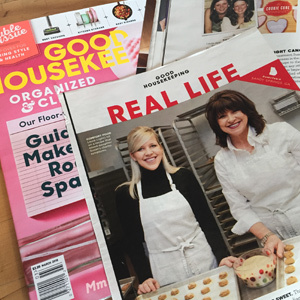 Founded by mom-daughter duo, Laura and Susan Stachler during chemo. 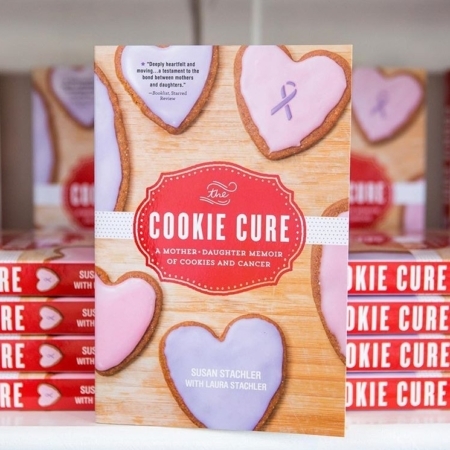 Laura created her special recipe after daughter’s cancer diagnosis. 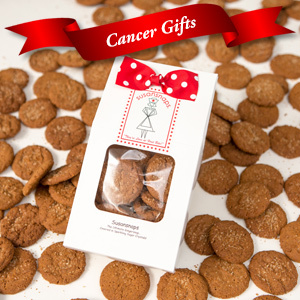 Ginger is a stomach soother and cookies always bring smiles! Thank you for visiting Susansnaps. We value your interest and our goal is to be respectful of your time and to respond to your inquiry in the most efficient way possible. 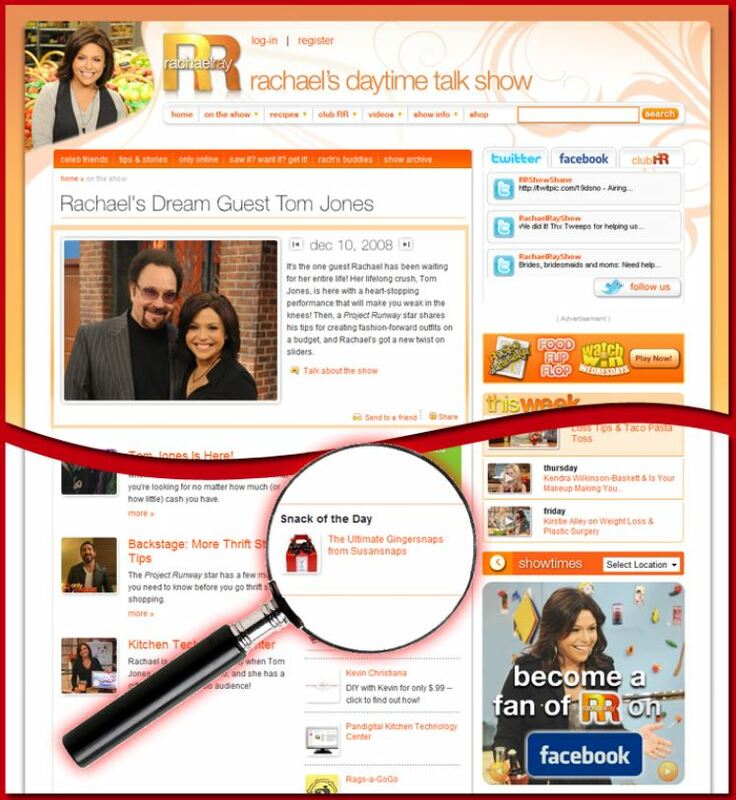 Get access to special deals by joining our mailing list!